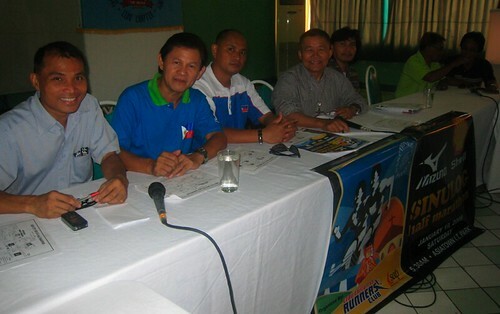 Last Thursday (Jan. 17) at 12 noon, I attended the final Press-Conference for the Mizuno-Shell Sinulog Marathon at the Olympic Ballroom of Baseline Restaurant. Presided by arguably the wittiest and funniest man in Cebu, Bobby Inoferio, it was all running-talk at the SCOOP Forum. 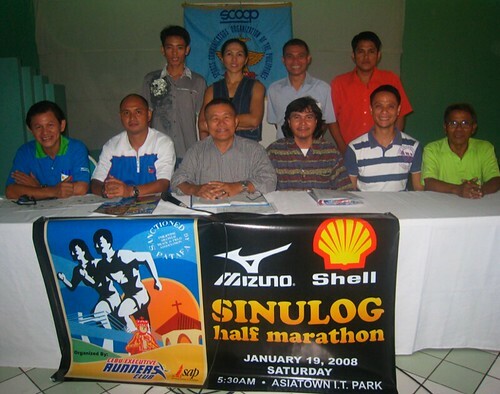 With me were Jess Taborada (President, Cebu Executive Runners Club), Raffy Uytiepo (Race Director), Joe Deresas (Technical Director), Joey Santos (PATAFA representative), Dr. Renald Ramiro, and several of Cebu’s top runners (including Liezl Geteruelas, Merlita Arias, Madeline Carter and top male runner Mendel Lopez). It’s all “Ready, Set… and Go!” for this Saturday. I’m a volunteer of High Five Hope here in Cebu. With its ongoing event, the High Five Hope Cebu Sportsfest involving 200 street children from the Cebu City Task Force for Street Children, I am hoping if you could come and witness its game finals on October 24, 2010 at Cebu Coliseum. As one of Cebu’s best sports commentator and among the advocates of what sports can bring to people specially children, it would be such a pleasure to have you part of our culminating event. For more details of High Five Hope, please visit its website at http://www.highfivehope.org.